In challenging economic times, the retail industry often takes a big hit. Mid-size retailer Papyrus weathered the storm with the use of the Adaptive Insights Business Planning Cloud. The finance team found limitations with its Excel-based management model, often dealing with correcting budget errors in 250 spreadsheets or enduring lengthy reconciliation cycles. Papyrus navigated through these challenges using Adaptive Insights. A streamlined business planning process broke the spreadsheet ceiling and leveled out many hurdles that hindered deeper insights into real-time data and stronger forecasting. For more than 55 years, Papyrus has been a privately held creator, distributor, and retailer of greeting cards and other gift products. With sales of over $170 million, and more than 660 employees, Papyrus has aggressively expanded their business, most notably with the acquisition of the retail card business of American Greetings. With this acquisition, their retail fleet has expanded from 160 retail stores to more than 500 stores in the U.S. and Canada. In a challenging operating environment, the ability to have real-time visibility into our results, analyze what the numbers mean, and make adjustments to manage cash flow, inventory, and staffing at a store level has been a tremendous advantage for Papyrus. We fine-tune our analysis in Adaptive Insights, thereby making more effective decisions which result in a better run organization. In anticipation of more than doubling the size of their retail fleet, the finance team at Papyrus knew they needed to improve and streamline their budgeting and planning process before the spreadsheet-based approach became even more unmanageable. With a model consisting of over 160 individual spreadsheets—each representing an individual store—plus additional linked spreadsheets for divisions, the finance team experienced significant pain when reconciling all of the data. In addition, it was challenging to find and evaluate the data necessary to analyze revenue by product SKU at a seasonal level of detail. "With 15 versions of the budget and only one person in the financial planning department, there were more than 250 spreadsheets to manage. Every version of the budget required a full day to reconcile all of the spreadsheets," said Tom Shaw, CFO at Papyrus. "It was easy to break formulas or have errors in the plan. The cost of 15 days of a dedicated finance employee was prohibitive and with our new growth, we sought an alternative solution." While their Excel-based model had been adequate in the past, it was not flexible enough to meet all of the needs of the finance team going forward, especially as the company completed one acquisition and looked to drive significant growth during a time of uncertainty. As a result, the finance team at Papyrus began evaluating alternative applications for budgeting. "With only one FP&A manager, we do not have an army of people in finance who can work on budgeting, planning and analysis. The old process would take a full day each time we did one version of the budget because someone would have to reconcile the more than 200 individual spreadsheets and consolidate them into one unified plan," said Shaw. "On average we produced more than 15 versions of the budget every year. Our equity partner recommended we look at Adaptive Insights as an alternative to spreadsheets because another retail portfolio company was benefiting tremendously from the solution." Papyrus also evaluated Hyperion Planning, but the price was out of the range that this mid-sized organization wanted to invest while many of the features were not necessary to accomplish their budgeting and planning goals. Now Papyrus has moved their budgeting and planning process completely onto the Adaptive Insights Business Planning Cloud. The ability for the finance group to update department budget figures in Adaptive Insights, reconcile payroll data and streamline reporting and analysis has improved the finance team’s oversight of the financial health of the business. "In a challenging operating environment, the ability to have real-time visibility into our results, analyze what the numbers mean, and make adjustments to manage cash flow, inventory and staffing at a store level has been a tremendous advantage for Papyrus," said Shaw. 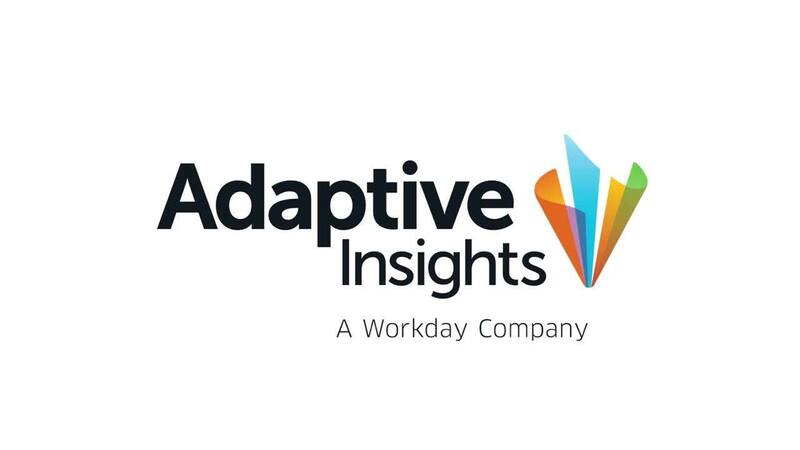 "We fine tune our analysis in Adaptive Insights, thereby making more effective decisions which result in a better run organization." Papyrus also benefits from more frequent and accurate reporting, delivering monthly executive reports straight from Adaptive Insights. By utilizing report templates, the finance team can update and run reports rapidly—a process that used to take a week can now be completed in a few minutes. The executive team, department heads and finance group now have improved visibility into key trends impacting their business, which in turn directly determine critical decisions that impact their sales results. "Now business owners are accountable for their numbers and the onus on finance has been lifted," said Shaw. "It used to be a painful process developing these reports in Excel. Using Adaptive Insights has really changed the way we spend our time and we now can focus more on analysis and less on consolidation and error correction. We now have a lot more confidence in the numbers." With Adaptive Insights, Papyrus benefits from more accurate forecasts and a less painful planning and budgeting process. Because they have been able to more carefully monitor key metrics such as inventory, payroll and retail store performance, they have been able to carefully manage their cash position, allowing the company to not only withstand a difficult retail environment, but also continue to grow in their business during challenging economic times. It used to be a painful process developing these reports in Excel. Using Adaptive Insights has really changed the way we spend our time and we now can focus more on analysis and less on consolidation and error correction. We now have a lot more confidence in the numbers.